Welcome to our new interactive map feature! We have maps of many popular categories on our website. A great tool for you to print and take it with you. Enjoy! Check out any of the restaurants below using our interactive geo map and discover a new way to savor Kaimuki, one great meal at a time. Interactive map of fine dining restaurants in Kaimuki. Interactive map of family and casual dining restaurants in Kaimuki. Interactive map of fast food restaurants in Kaimuki. Interactive map of Cafe, Delicatessens and Snacks restaurants in Kaimuki. Interactive map of grocery stores/supermarkets in the Kaimuki, Hawaii Area. Interactive map of pizza restaurants in Kaimuki. 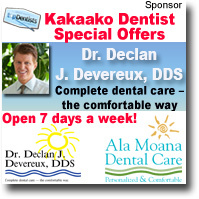 There are many other great opportunities in Kaimuki, Hawaii. Check out the following maps. Interactive map of parks in Kaimuki. Over 21 parks featured. View activities and amenities for each park. Interactive map of popular clothing stores. Some schools in the Kaimuki area have set up Community Recycling Bins that you can help support. Each month, these participating schools receive a check from City Department of Environmental Services for the recyclable materials collected in their bins. By taking your recyclables (aluminum cans, glass bottles & jars, plastic containers, newspapers, cardboard, etc) to these Recycling Bins, you also help support the school's fundraising efforts. Redemption Centers accept various recyclables like beverage containers, waste paper, cardboard, ferrous and non-ferrous scrap metal, appliances, and plastic. Going to these centers not only help our efforts in going green, you also get some of your money back for recycling. Find out where Free WiFi Hot spots are in the Kaimuki area. 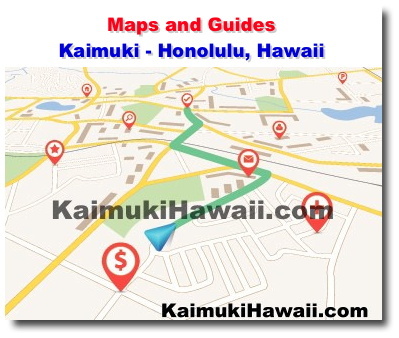 Find out where churches and spiritually centers are located the Kaimuki area.